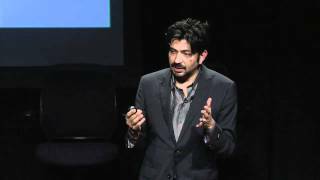 Siddhartha Mukherjee (born 21 July 1970) is an Indian-American physician, oncologist, and author best known for his 2010 book, The Emperor of All Maladies: A Biography of Cancer. He studied biology at Stanford University, obtained a D.Phil. from University of Oxford, and an M.D. from Harvard University. Since 2009, Mukherjee is an Assistant Professor of Medicine at the Columbia University Medical Center in New York City. He has been the Plummer Visiting Professor at the Mayo Clinic in Rochester, Minnesota, the Joseph Garland lecturer at the Massachusetts Medical Society, and an honorary visiting professor at Johns Hopkins School of Medicine. A haematologist and oncologist by training, his research focuses on cancer therapy and gene functions related to blood cells. Siddhartha Mukherjee's fascination with cancer is rooted not just in how to fight it, but in where it originated. Discovering almost nothing on the subject, the cancer physician and researcher wrote "Emperor of All Maladies: A Biography of Cancer," that explores the history of the disease that causes one quarter of all American deaths. 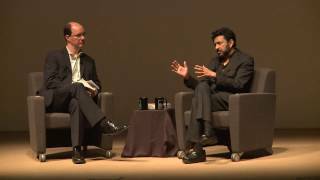 Acclaimed cancer physician and author of the Pulitzer Prize-winning The Emperor of All Maladies, Siddhartha Mukherjee comes to CHF to discuss his most recent work, The Gene, a magnificent history of the gene and a response to the defining question of the future: What becomes of being human when we learn to “read” and “write” our own genetic information. Mukherjee interweaves science, social history, and the story of his own family to explain the powerful science of genetics and to grapple with the extraordinary influence of heredity on our lives, personalities, identities, and fates. Genetics has revolutionised not just how we think of biology but how we think of ourselves. We are, in the words of one geneticist, the first organism that has ‘learned to read its own instructions’. Now, with the breakthrough of gene-editing technology — whose precision allows us to alter a single letter of DNA — we can now not only decipher but rewrite our genetic code. We may soon be able to treat diseases such as cancer not simply with drugs, but with genetic manipulation. Yet behind this medical revolution lies the prospect of something altogether more worrying. Already, we possess the technology to add to our genetic code at will, and thus create the world’s first generation of ‘transgenic’ humans. As we intervene genetically on ourselves with ever more accuracy, do we risk changing what it means to be human? In a potential quest for the genetically ‘normal’, will we risk annihilating the very diversity and mutations on which evolution depends? 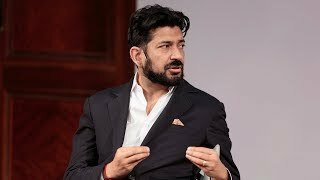 <br> These are some of the questions that the Pulitzer prize-winning author, cancer geneticist and stem-cell biologist Siddhartha Mukherjee will be exploring when he comes to the Intelligence Squared stage. Joining him will be neuroscientist and BBC broadcaster Daniel Glaser, director of the Science Gallery at King’s College London and former Head of Engaging Science at the Wellcome Trust.